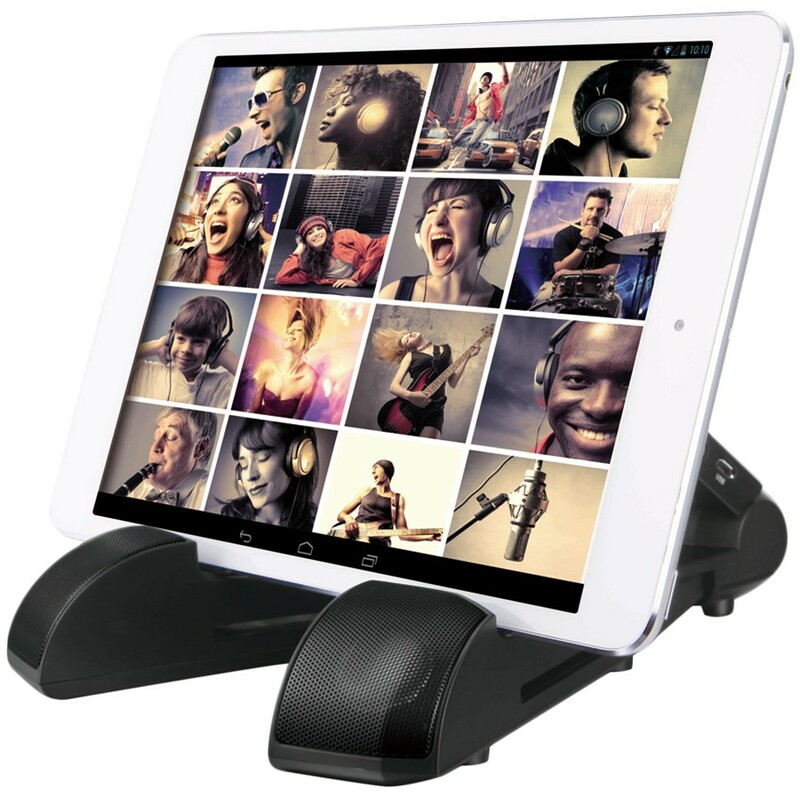 Portable Bluetooth speaker from one side and stand for a tablet of any size from another! 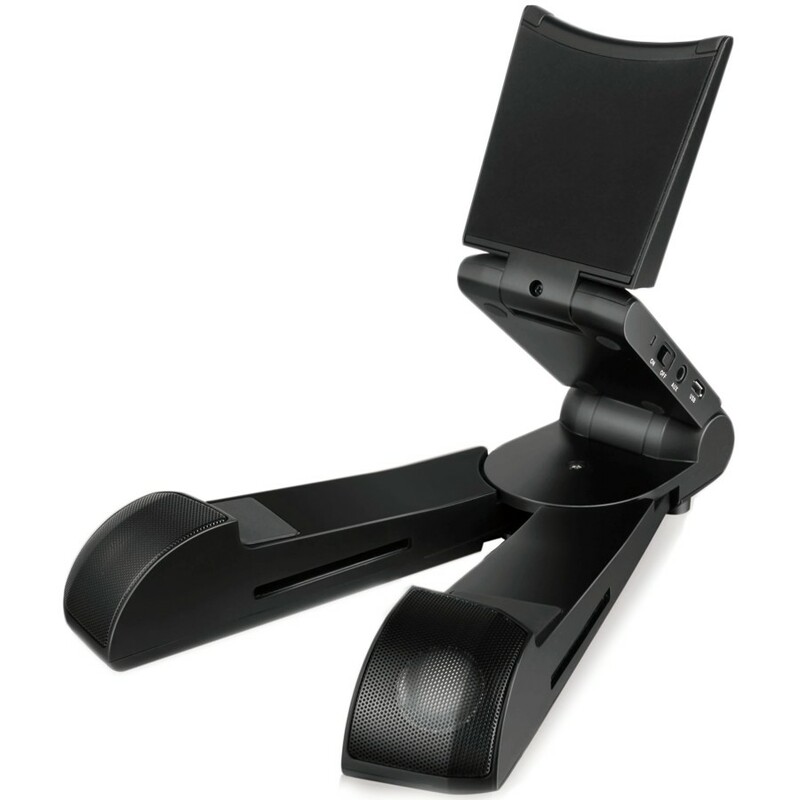 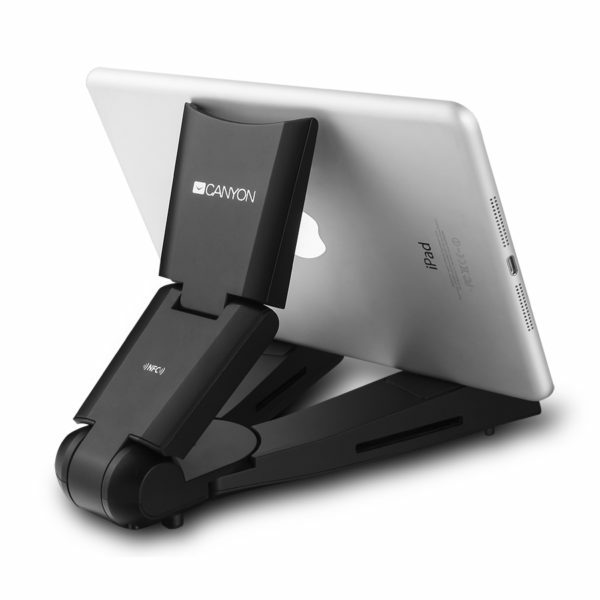 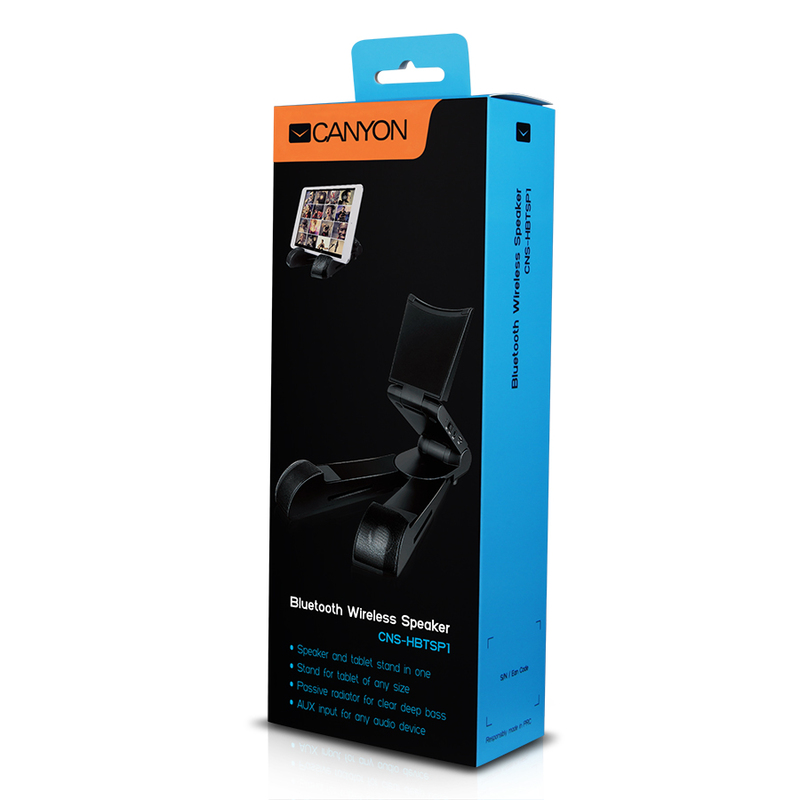 It is completely foldable so you can enjoy your music or movies everywhere and everytime! Due to “passive radiator” technology it produces very clean and powerful sound which is so exiting from such a small case. The Bluetooth version 3.0 is compatible with almost any Bluetooth enabled products on the market – smartphones, tablets, notebooks. But it also easily connects to any audio device by usual AUX cable.